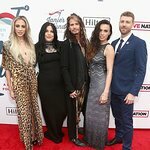 Skittles announced tonight an eBay auction of musician Steven Tyler's Skittles portrait to support Tyler’s philanthropic initiative that helps girls who have been abused and neglected: Janie's Fund. 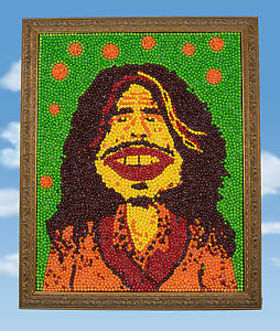 Tyler and his Skittles portrait are featured in the Skittles Super Bowl 50 television commercial, in which Tyler comes face to face with a portrait of himself made entirely of the candy. Bidders can bid on the replica Skittles portrait at www.SkittlesPortrait.com starting Sunday evening until Wednesday at 4:30 p.m. CST. Proceeds from the auction will support Janie’s Fund, Tyler’s partnership with private nonprofit Youth Villages that raises money and awareness to help Youth Villages provide trauma-informed care to girls who have histories of being abused and/or neglected. Tyler’s hit song “Janie’s Got a Gun,” originally released Nov. 8, 1989, was born out of a growing desire to speak up for victims of child abuse. Each year, 1 in 5 girls in the United States experiences sexual abuse. For more information, please visit www.JaniesFund.org or call 901-251-5000.